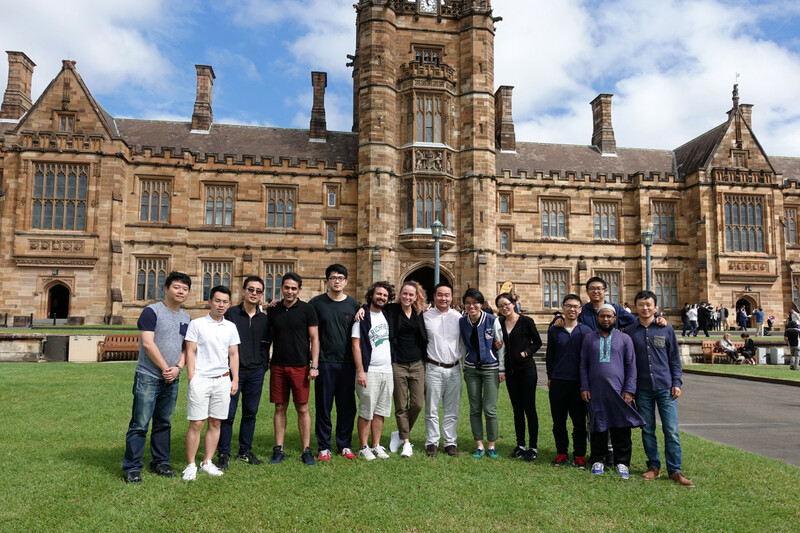 Group photo in front of The Quadrangle at The University of Sydney, 31/03/2017. 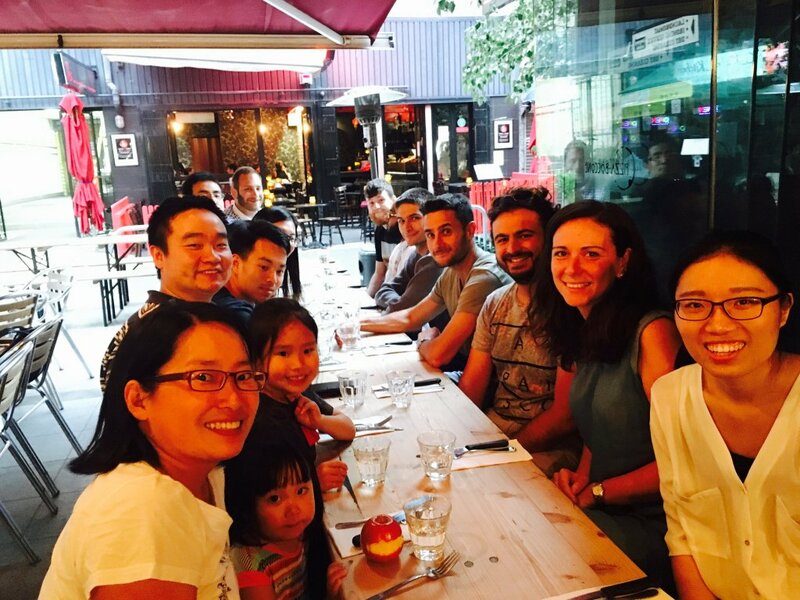 From left: Linkin Wu, Weijing Dai, Chongpu Zhai, Mojtaba Nazemi, Simon Shi, Simone Pupeschi, Marigrazia Moscardini, Yixiang Gan, Sharon Li, Yongmei Zhang, Yanyao Bao, Mingrui Dong, Noor Mohammad, and Guanzhe Cui. 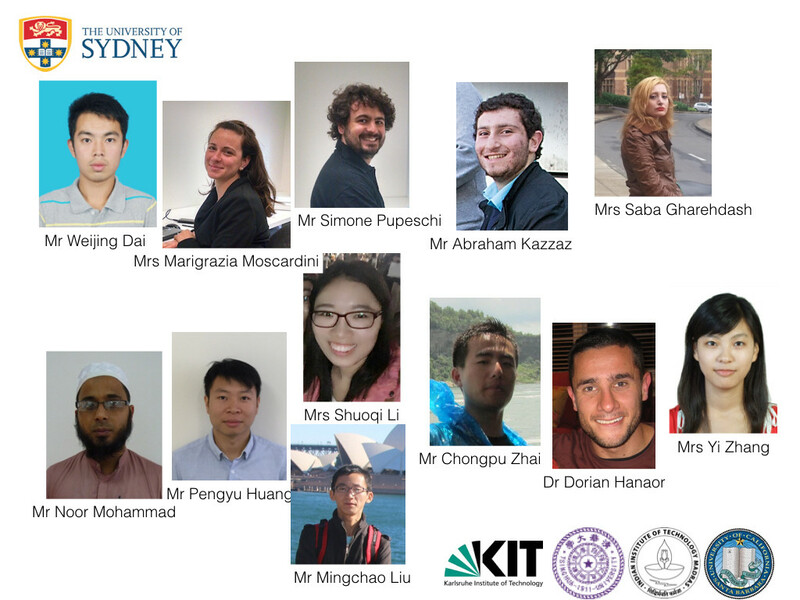 15/02/2017: Research group and collaborators in a hexagonal packing, from @Sydney_Uni, @reachIITM, @ChinaTsinghua, @KITKarlsruhe and @TUBerlin. 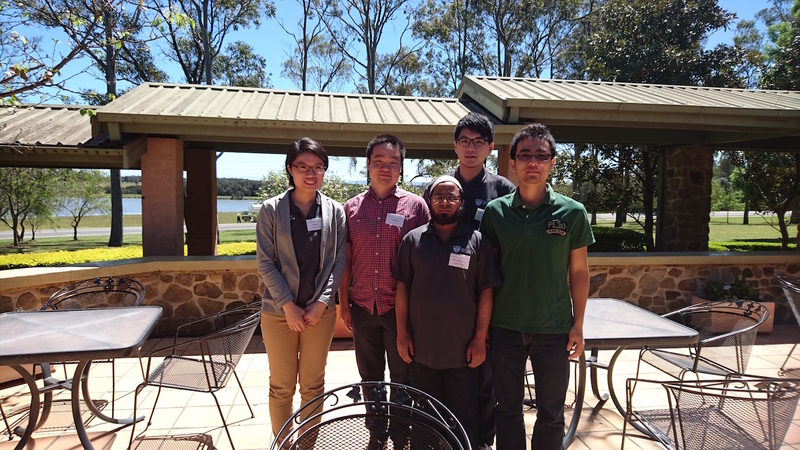 Group members at Workshop on Advancing Experimental Geomechanics, Pokolbin NSW, 3/11/2016: From left: Ms Sharon Li, Dr Yixiang Gan, Mr Noor Mohammad, Mr Simon Shi, Mr Chongpu Zhai. 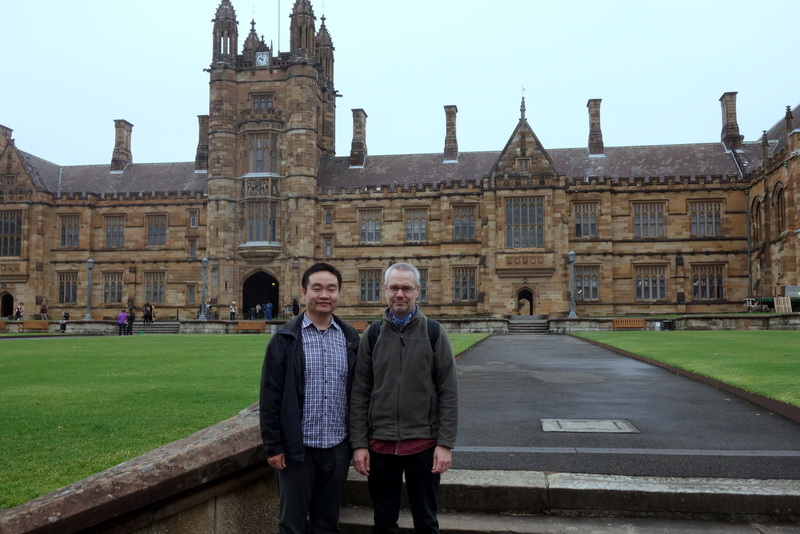 Dr Yixiang Gan and Professor Marc Kamlah (KIT) at The University of Sydney, 28/10/2016. 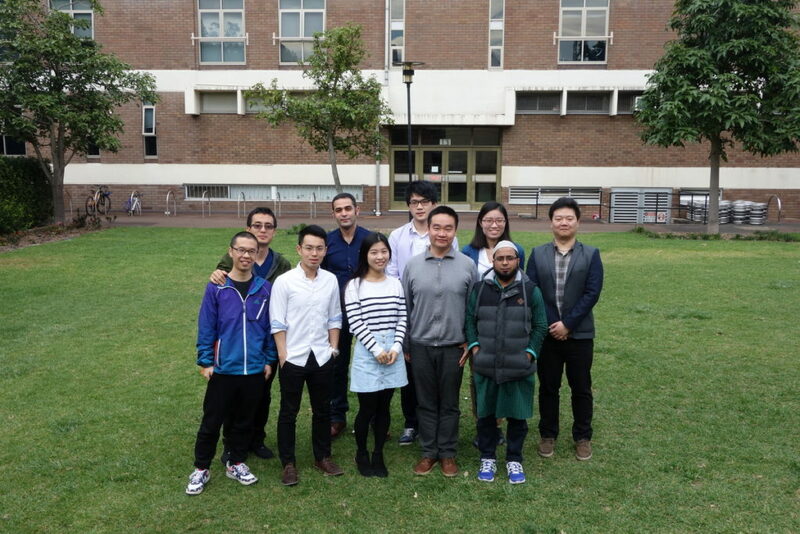 Group photo at School of Civil Engineering, Uni Sydney, 31/08/2016. 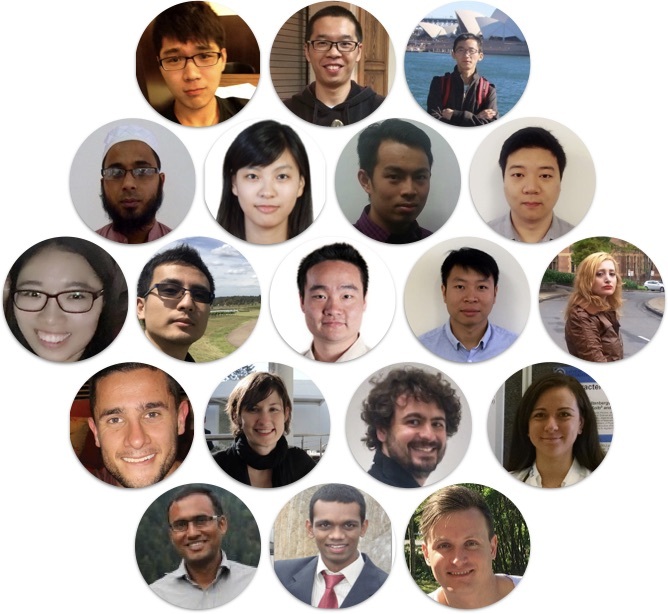 From left: (1st row) Yanyao Bao, Weijing Dai, Yi Zhang, Yixiang Gan, Noor Mohammad; (2nd row) Chongpu Zhai, Mojtaba Nazemi, Simon Shi, Sharon Li, Linkin Wu. 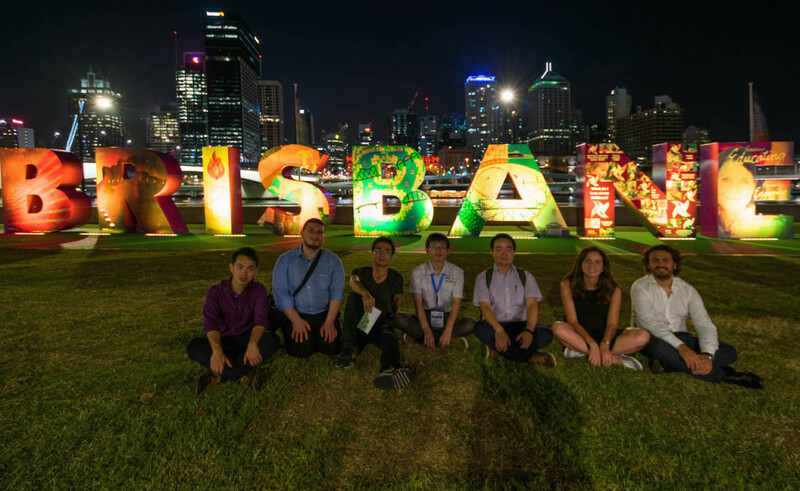 Group photo after the ACCM 2015 conference dinner, 30/11/2015. 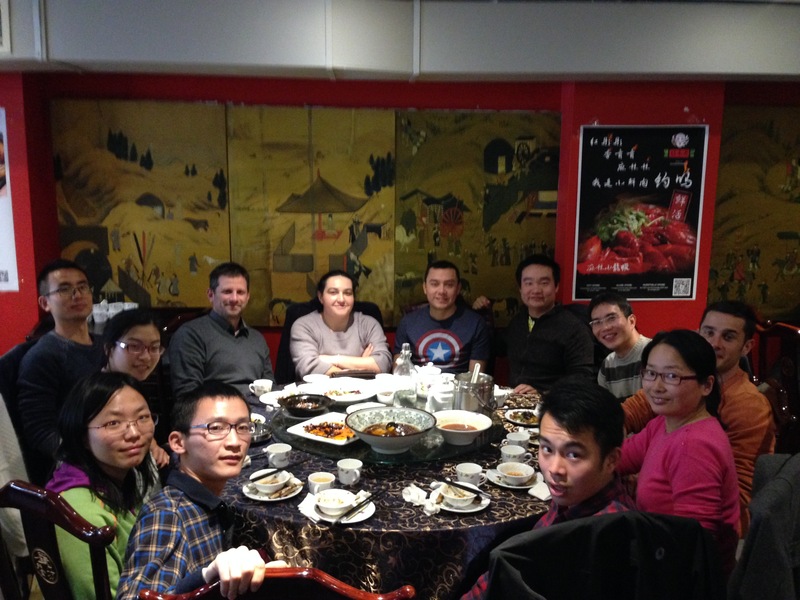 From left: Weijing Dai, Abraham Kazzaz, Chongpu Zhai, Dongxin Liu, Yixiang Gan, Marigrazia Moscardini, Simone Pupeschi. Group photo collection in my talk in Zhejiang University, 28/10/2015.